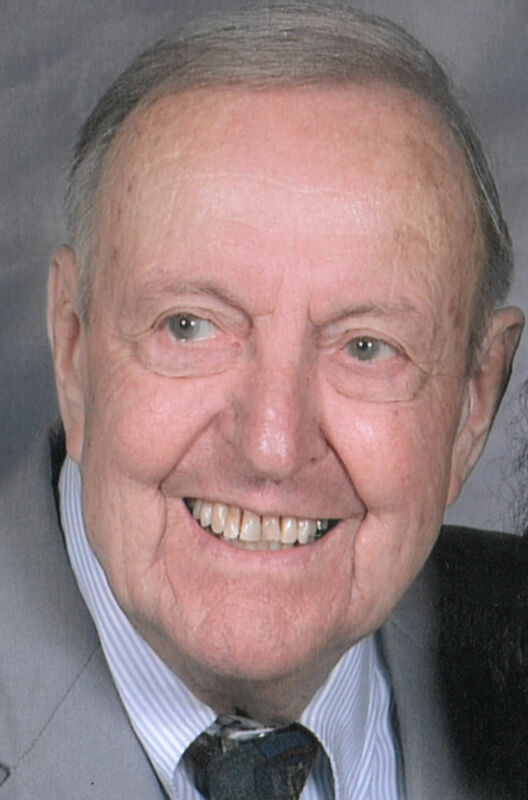 Cyril V. "Cy" Anderson, 95, of Sioux City, passed away Jan. 30, 2019, at a local hospital. Services will be 11 a.m. Tuesday, April 16, at Blessed Sacrament Catholic Church in Sioux City. Visitation with the family present will be one hour prior to the service at the church. Online condolences may be given at www.meyerbroschapels.com. Cy was born on Dec. 6, 1923, in Alcester, S.D., the son of Leroy and Stella (Hines) Anderson. He later moved to Sioux City with his family and graduated from East High School. In 1942, he moved to Alaska to work on the Alaska Highway. Cy served in the United States Army from 1948-1949 and was honorably discharged as a corporal in December of 1949. Upon returning, Cy began his career as a truck driver and member of the International Brotherhood of Teamsters. On April 22, 1950, Cy married the love of his life, Yvonne Colvin at St. Joseph Catholic Church in Sioux City. From 1955-1968, Cy was co-owner of Cal’s Used Cars. He returned to driving for All American Transport until his retirement in 1987. Following his retirement, Cy and Yvonne traveled and remained active community members. They were regular precinct workers on election days and Iowa Democratic Party activists in Woodbury County. Cy continued his love of anything on wheels, diagnosing and repairing all of his many vehicles, as well as those of family members. In 2008, at the age of 84, he biked the Mickelson Trail. He loved spending his summers boating and fishing in Park Rapids, Minn., with his family. His life was filled with love and he gave his best to his family every day. His best friend and wife of 64 years died in 2014. His world was never the same. We know he is at peace with Yvonne, together again. Cy is survived by a son, James (Jana) Anderson of Chicago, Ill.; a daughter, Cindy Hagen of Sioux City; three grandchildren, Stella Marie Anderson, Julie Cyvonne Hagen, and Frederick (F.J.) Hagen; and two brothers-in-law, Rodney (Karla) Colvin and Dennis (Marlene) Colvin. Cy was preceded in death by his wife, Yvonne; infant daughter, Julie Marie; sister, Madeline; sister and brother-in-law, Norma and Paul Wood; son-in-law, Fred E. Hagen; brother-in-law, Arthur (Angeline) Colvin; and niece, Karen Colvin. In lieu of flowers, a memorial has been established with Friends of Sioux City Police Department Giving Tree.